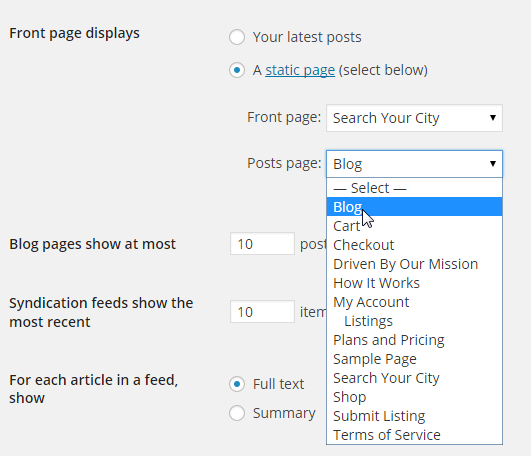 Create a new page and name it "Blog" (or another name you prefer). Then, go to Settings > Reading. From here you change the "Posts page" to the newly created page. Create a new page and name it "Blog" or to another name you prefer. Select the default page template under page attributes. (Optional) Upload a featured image to set a header for your Blog page. Here you change the "Posts page" to the newly created page in Step 1. Link to the page on any of your menus or from any other page or post. 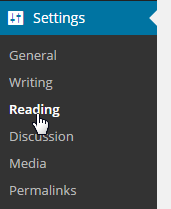 That's it, you should now have a page dedicated to all your blog posts.